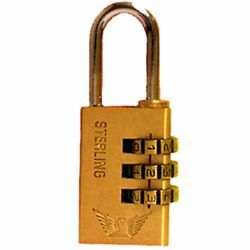 Where many users need to be able to open a particular padlock, a `Combination Padlock` provides a practical alternative to a `Key Operated Lock` which would require keys to be issued to each of the potential users. 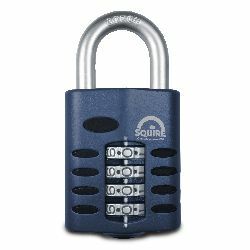 A 4 tumbler combination offers a higher level of security than a 3 tumbler unit, but whichever type you choose, make sure that the combination code can be reset or changed quickly and easily by the user and as often as required. 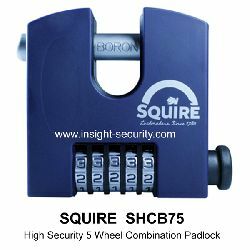 As well as the number of tumblers and the ability to reset the lock combination code there are other important factors to consider when selecting a high security combination padlock. The quality of manufacture, the materials used and the brand should all be examined. 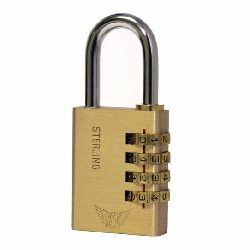 As a general rule - always choose a padlock from a well known, reputable brand. 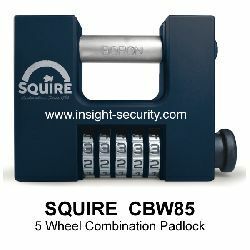 The facility to change combination when you believe that the code has been compromised, or if you wish to prevent one of the previous users from continuing to open the padlock, maintains the integrity of your security. 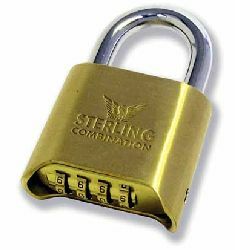 For further help a guidance in selecting the right padlock for your needs take a look at our detailed guide to Choosing the right padlock for your needs.